I was so happy this book released! Couldn't wait to get my hands on it because through the years I've fallen in love with Beth's books. So here's a short blurb and we'll chat on the other side! The second in Vogt's Destination Wedding series, this book only adds to the reasons you'll want to have this group on your shelves. It's apparent why Vogt recently won a Christy for the first book in the series, Crazy Little Thing Called Love, as well as was nominated for a Carol. Vogt's storytelling grows stronger with each book she writes. 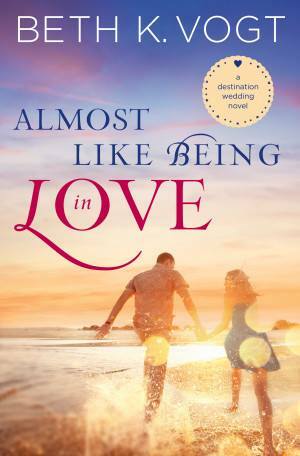 You can purchase Almost Like Being in Love here and I happily give it 5 out of 5 stars. Snap it up for the holiday weekend! I thank the publisher for my copy of this book in exchange for my honest review. I'm so excited to know this is out now. I can't wait to read it.